As LOVE, Inc. – DBA Think With Your Heart dot love (“TWYH.love”, “site” “website” “TWYH”, “we,” or “us”) is a paid membership site that offers members-only access to monthly articles, a private social network platform, hosting a community of like minded people. We (TWYH.com) are the data controllers (authority which determines the purpose and means of collecting Personal Data) collecting and processing your personal information. Registration information you provide when you create a membership account with TWYH such as your first name and last name, country of residence, physical address, username and password. Transaction & Billing information you provide when you make a purchase from TWYH.com, for example purchasing a TWYH membership or digital products such as e-books, e-guides or e-courses. Billing information includes name, address and credit card information so that we can process payment to deliver our products or services to you. Members only information within TWYH.com or within the social network aspect of the site, such as media (images, photos), comments on blog posts and article pages, personal profile information, public posts in the site-wide activity feed, groups and forum posts. NOTE: If you upload images to the website, you should avoid uploading images with embedded location data (EXIF GPS) included. Members within the TWYH.com social network can download and extract any location data from images on the website. Comment data collected when you leave comments on the TWYH.com, for example on a blog post or article page. Contact Data -A name and an email address you provide if you complete our contact form on the site with a question. Location information, including location information provided by a mobile or other device interacting with one of our sites or applications or associated with your IP address, where we are permitted by law to process this information. Activity information about your use, and the use by any person(s) you authorize through your account, such as how often you actively sign in and use the site. Usage, viewing, technical and device data when you visit or use TWYH.com, open emails we send, including your browser or device type, unique device identifier, and IP address. Your IP address is the number assigned to computers connected to the Internet. This address cannot personally identify you. Email address and notification information. When you provide TWYH with your email address by way of our contact forms, you consent to receive site, service, and/or product related notices, information and/or announcements, changes to website features or services and/or special offers, as well as our newsletters (TWYH LOVE Letter). Network Notifications-If you are a member of the TWYH social network we may send you notifications of activity from within the community to the email address you provide us, in accordance with your profile preference and any applicable privacy settings. Note on Comments: If you leave a comment on our site you may opt-in to saving your name, email address and website in cookies. These are for your convenience so that you do not have to fill in your details again when you leave another comment. These cookies last for one year. What Are Cookies: A cookie is a small file of letters and numbers that we store on your browser or the hard drive of your computer. Cookies contain information that is transferred to your computer’s hard drive and stored in your browser’s cache. When you visit TWYH.com, we may send one or more cookies to your computer, which uniquely identifies your computer. Anti-Spam collects cookies for the sake of safety and spam prevention. bbPress bbPress is forum software and collects comments and replies made by users. It also creates notifications of user activity. BuddyBoss Media collects images, videos and links shared by registered participants. Information is stored inside our WordPress database only, images are only kept for 90-120 days. Buddypress social network software that collects information from participants and keeps it stored inside our WordPress database only. Comet Cache Pro stores cached files on our server for faster website browsing and enhanced user experience. Comment Reply Email Notification Sends an email notification to the comment author when someone replies to his comment. DW Question Answer is Question and Answer forum where registered Premier members submit information that is stored inside our WordPress database only. Fast Secure Contact Form Fast Secure Contact Form for WordPress let’s users email Think With Your Heart and Blocks all automated spammers. Consent is required to use this form. MailChimp for WordPressConnects with 3rd party provider, mailchimp to collect user data for the sake of marketing and information. UpdraftPlus-Backup/Restore- Creates offsite backups/duplicates using updraft storage and this will include all data/database information included in aforementioned plugins. WishList Member™ Membership software that protects and secures members-only content with roles/capabilities. Once you remove your account we delete all data. Use of this membership plugin will add users to our mailing list using Mailchimp and a double opt in process. This software integrates with third party providers: Mailchimp, PayPal and 1shoppingcart. 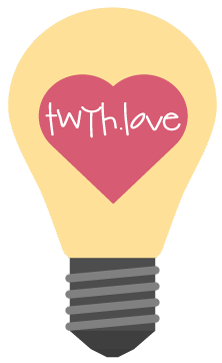 Members can contact admin@thinkwithyourheart.com at any time to change, cancel, or remove their user data. Sitegroud- We use Siteground as our web host and they store website backups and they also host server emails which are secured with passwords. If a client enforces their right to be forgotten, all account-related information and server logs associated with the account and backups will be immediately deleted. Clients cannot make changes in the backups stored for their accounts. WordPress-Collects data pertaining to: user registrations, comments, contact form entries, analytics and traffic log solutions, any other logging tools and plugins listed in this policy, security tools and plugins. We keep WordPress up to date and scanned regularly for security purposes. Email admin@thinkwithyourheart.com, subject line: Cancel Membership and your billing subscription will be terminated within 72 hours of request. You will receive an email notification with cancellation details when your membership has been terminated. NOTE: if you use Paypal for your recurring membership payment you have the option to cancel your payments on your own, however know that Paypal is an independent third-party payment processor that is not associated with TWYH.com, therefore TWYH is not responsible for your Paypal payment processing. We retain your Personal Data for the minimum amount of time necessary to provide you with the information, products and/or services that you requested from TWYH. We may include certain Personal Data for longer periods of time to improve functionality, or if necessary for legal, contractual and/or accounting obligations. For example, if you leave a comment on a TWYH.com blog post or article, the comment and its metadata are retained indefinitely. This is so we can recognize and approve any follow-up comments automatically instead of holding them in a moderation queue. If you register as a paid member on our TWYH.com we also store indefinitely the personal information provided in your user profile. All users can see, edit, or delete their personal information at any time (except they cannot change their username). Website administrators can also see and edit that information. NOTE: all personal information in the form of public posts located in the site-wide activity feed, groups and forum posts are permanently deleted every 90 days (with the exception of the coaching forum, which is stored indefinitely for Premier members to benefit from), comments from blogs posts and article pages are deleted every 180 days. If you have a member account on this site, or have left comments, you can request to receive information about the personal data we use and that you have provided to us. Note: this does not include any data we are obliged to keep for administrative, legal, or security purposes. At As LOVE Inc, DBA ThinkWithYourHeart.com we take security and privacy very seriously. We continually strive for excellence with regularly updated and state of the art technology to ensure the safety of your experience. TWYH and the TWYH.com team take reasonable steps to protect the Personal Data you provide from disclosure, misuse or unauthorized access. We care about the integrity and security of your Personal Information and implement appropriate technical and organization security measures to safeguard your Personal Information. To that end, we only share your Personal Data with trusted third parties who use the same level of care in processing your Personal Data. We cannot, however, ensure or warrant the security of any information you provide to TWYH or guarantee that your information may not be accessed, disclosed, altered, or destroyed by breach of any of our physical, technical, or managerial safeguards. We have taken technical measures such as encryption-SSL (secure socket layer) certificate which encrypts data for safer processing; security measures such as two factor authentication; and administrative measures such as assistant training in data protection and a data removal protocol. We also do not store any credit card information on the site for the safest transaction possible. Children’s Online Privacy: We do not knowingly collect or solicit any information from anyone under 18 years of age in compliance with COPPA (Children’s Online Privacy Protection Act) and the GDPR (General Data Protection Regulation of the EU). Your acceptance of these terms: By using this Site, you signify your acceptance of this policy. Your continued use of the Site following the posting of changes to this policy will be deemed your acceptance of those changes. Sign up to receive updates, 5D report notifications & The TWYH LOVE Letter.